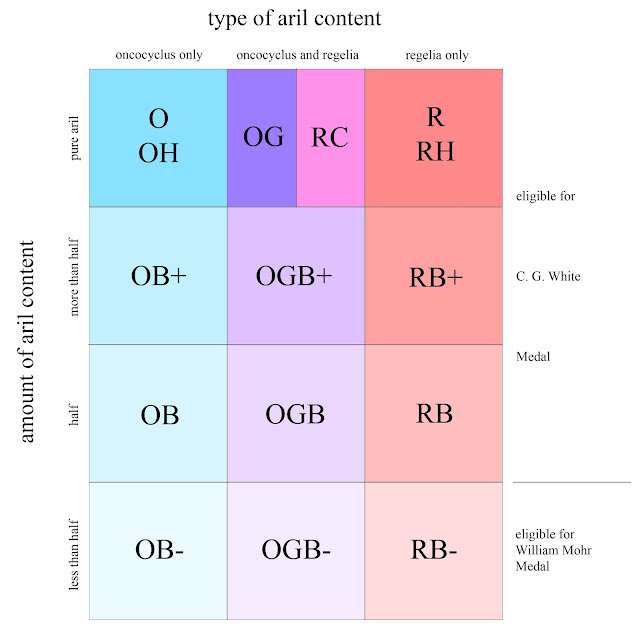 Phenology, or the study of what condition plants are in (onset of growth, vegetative, pre-flowering, flowering, seed set, dormancy) at what date during the year, is fascinating to track during climate shifts. No, I’m not talking about climate change, but about regular weather cycles on the West Coast of North America. 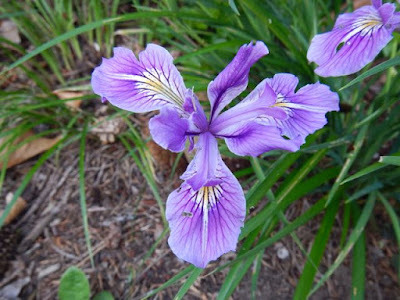 Iris tenax, wild collected seed from sea cliffs by Manzanita, Oregon, was flowering in June, and now has numerous pods. First, the familiar one–– the annual season, which cycles every year through winter, spring, summer, fall. Second, El Niño-Southern Oscillation Events, ENSOs. In the popular press, these are called El Niño, which bring warmer than usual weather to the Pacific Northwest, and range from dry to wet weather in winter depending on ENSO intensity and latitude on the West Coast. California often gets much wetter winters during ENSO events. ENSOs alternate with two other weather states over the Pacific Ocean. The other two are La Niña events and ‘neutral conditions’. La Niña events bring colder than normal weather to the West Coast, and neutral conditions in the Pacific are just that, not strongly warmer or colder. These three states of weather over the Pacific Ocean impact weather around the world. The National Weather Service posts intermediate to long term forecasts which can help us see what is coming over the next few seasons. Third, there is also a longer weather cycle, the Pacific Decadal Oscillation, which typically lasts twenty to twenty one years, warm and dry or cold and wet. In the warm and dry state, the Pacific Northwest has less rain, salmon populations fall as fewer fish reach streams to breed, and ocean conditions are poor for their growth and survival. Snowpacks are reduced in the mountains. At the same time, Alaska and northern British Columbia get the opposite, more rain and cold weather. The flip side is cold and wet in the Pacific Northwest, and warmer and drier to the north. I. douglasiana X I. chrysophylla has sturdy spikes with multiple flowers, on a tall plant that grows in dense clumps. I'm planning to divide this one at the next garden redo. The Pacific Decadal Oscillation flipped to warm and dry in the Northwest last year, with a strong ENSO event on top of it. We had a long dry summer last year, bracketed by two wet winters. This year saw average snowpack form, but it melted early as the weather warmed. 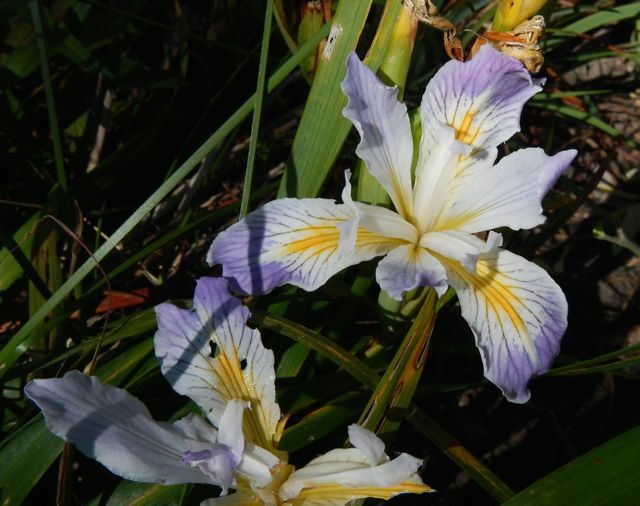 What does this mean for Pacifica Iris in northwest gardens? Flowering begins earlier, progresses faster, and is over earlier in the summer. Pollinators are often out of step with the bloom times, so seed set can be reduced on open pollinated plants, especially for those that are early flowering. Grown from SPCNI seeds, this late flowering PCI has unknown parentage, but often flowers into June. Flowers are species like, small and numerous on a medium-sized plant. 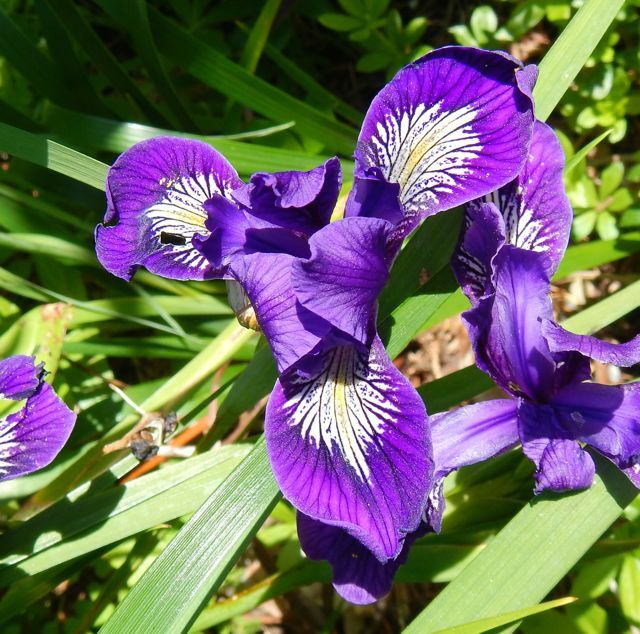 During cool springs and cool to cold weather cycles, Pacifica Iris start flowering in April, peak in May, and continue into July, some years to mid July. 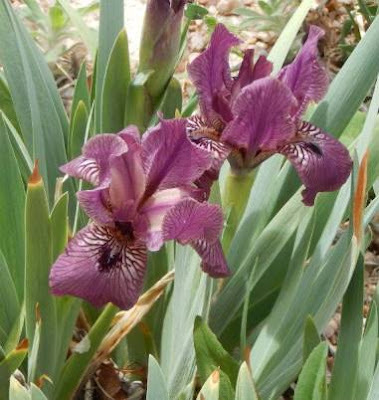 During warm dry weather, iris begin flowering in March, peak in April, and are done by early June. This is months later than southern California gardens, and trails northern California by at least six weeks. 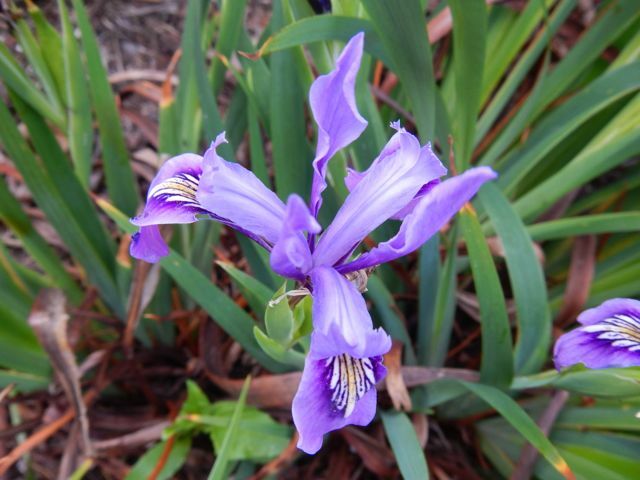 The last Pacifica Iris to flower are a sturdy handful, including two species crosses and a local species. 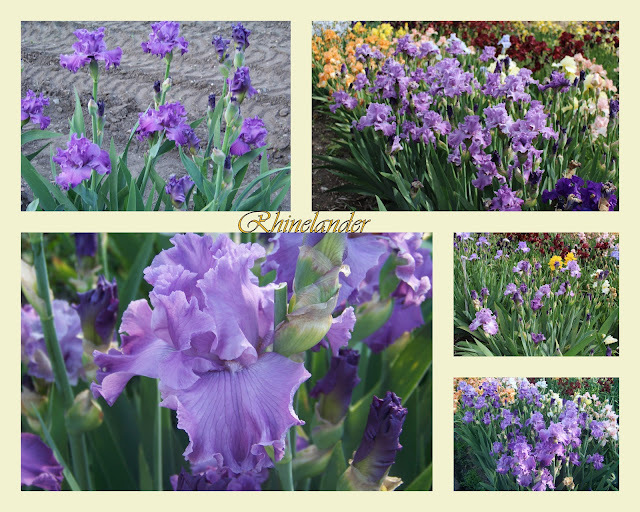 Those lovely frilly hybrids are long past when these irises start to flower. Iris tenax from Saddle Mountain, Oregon, also has nice rose-purple flowers. Iris tenax from Saddle Mountain and the sea cliffs near Manzanita, Oregon, generally starts in May and finishes in June, with rose-purple flowers. A cross between I. douglasiana X I. chrysophylla with tall stems and flower spikes, and small dark purple flowers [seed from SPCNI several years ago] is one of my favorite May to June flowering clumps. Another cross between I. tenax X I. innominata also from SPCNI, flowers in May and June, and can be stunningly floriferous in cool wet years. I have white, pink-veined, and lavender clumps of this cross. Dwarf I. douglasiana is still flowering in late June. Also the slowest to ripen pods, I'll be collecting seeds in September from these plants. 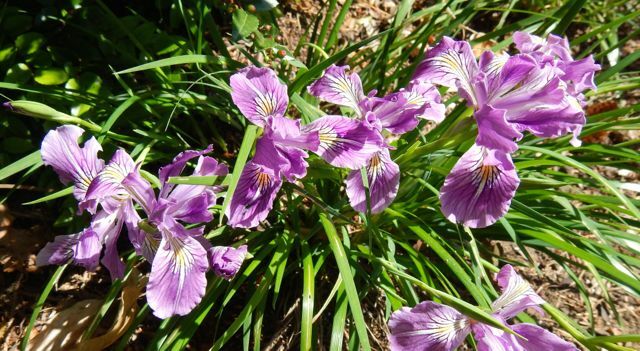 The last to flower, still in bloom in July most years, is a dwarf I. douglasiana, typically less than twelve inches tall, with sturdy short stems and lavender flowers. 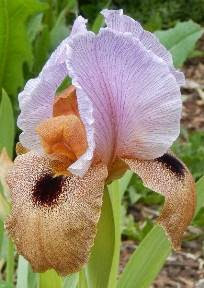 This also came from the SPCNI seed exchange, donated by Diane Whitehead from her garden in Victoria, British Columbia. Today as I checked the garden [too many weeds getting ahead of me already, ugh] I saw few to no pods on the early flowering irises, but the late flowering irises had many fat buds, already ripening seeds. With warm dry weather in store for the next couple of decades, I think it’s time to focus on these late flowering plants for the next generation of new Pacifica Iris in my garden. Iris season in Utah has just ended and it was glorious. 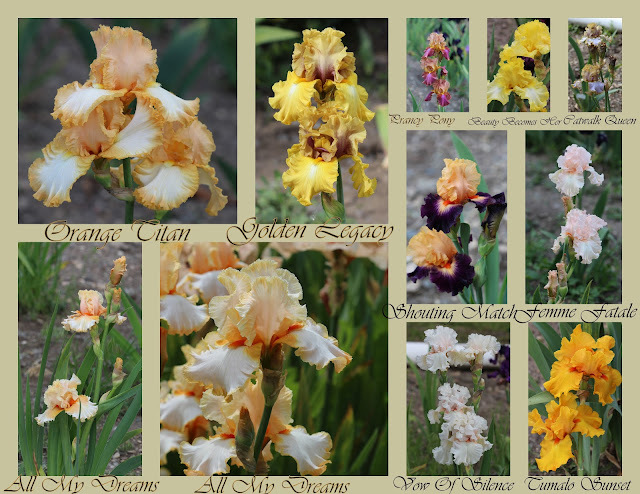 I had so many blooms that bloomed for the first time and were stunning. In my next blog I will share with you some of my favorite new ones, so stay tuned. 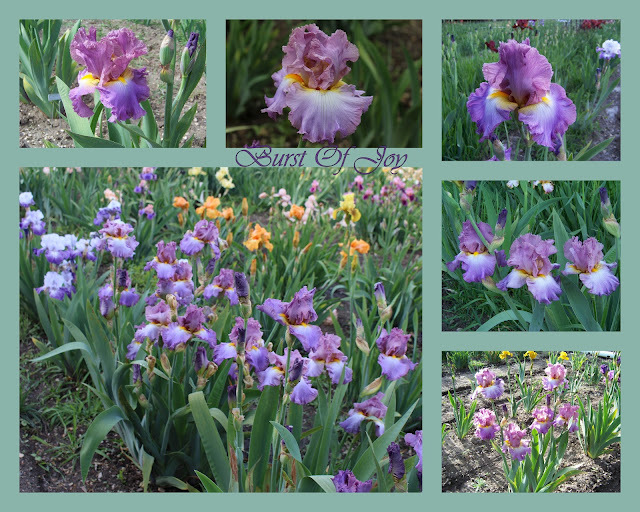 For now, let's finish the irises my husband and I like to recognize and call Super Achievers. Those are the irises that can always be counted on to bloom well, resist disease, provide beautiful blossoms, make big clumps. We call them our Super Achievers. We like to share this information so those of you who have similar conditions and climate zones (6b) can try planting some of these to get good results. Here as promised is part three of the Mumford Garden Super Achievers. (To review part two click here.here ) To review part one click here. This beautiful light blue self is over 40 years old and still stands up well with even the newest irises. The form is good and the color is just as you see it here. It is 38" tall and blooms in mid season. It won a Dykes Medal in 1972. It has always "super achieved" in our iris patch. 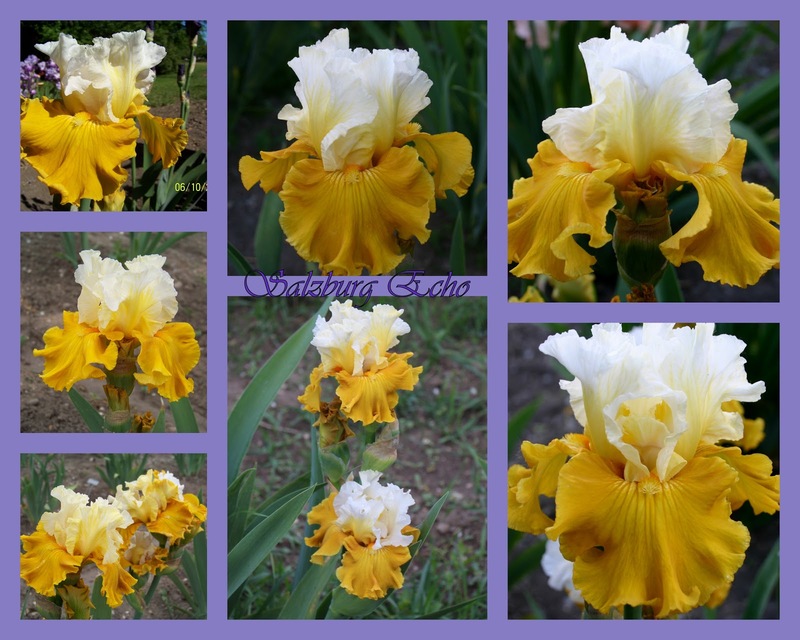 This is one of two irises I have that have a hint of green in it. Admittedly it is olive green but none the less it is unusual. The colors are more muted than those I usually pick but it takes wonderful pictures and is a welcome addition during mid season bloom. I can count on it to draw the visitors eye in the garden. With 'Best Bet' and 'Edith Wolford' it its pedigree it isn't surprising to get a lovely child. This iris blooms very early. 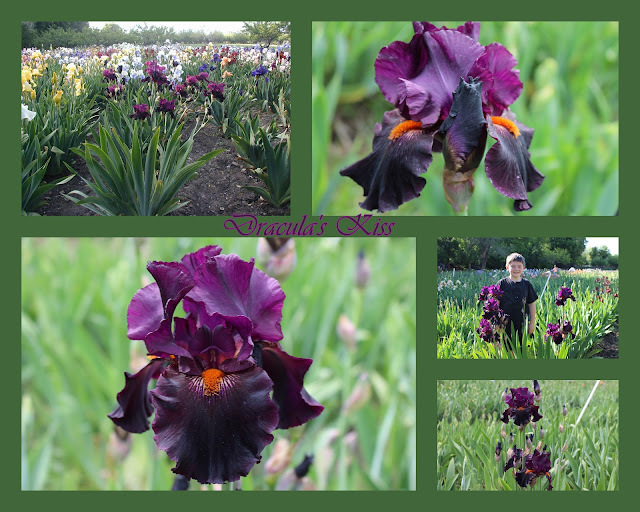 Its bloom gets me into the garden, hunting the iris map and trying to mark any unmarked irises. 'Boysenberry Buttercup' has a strong sweet fragrance. 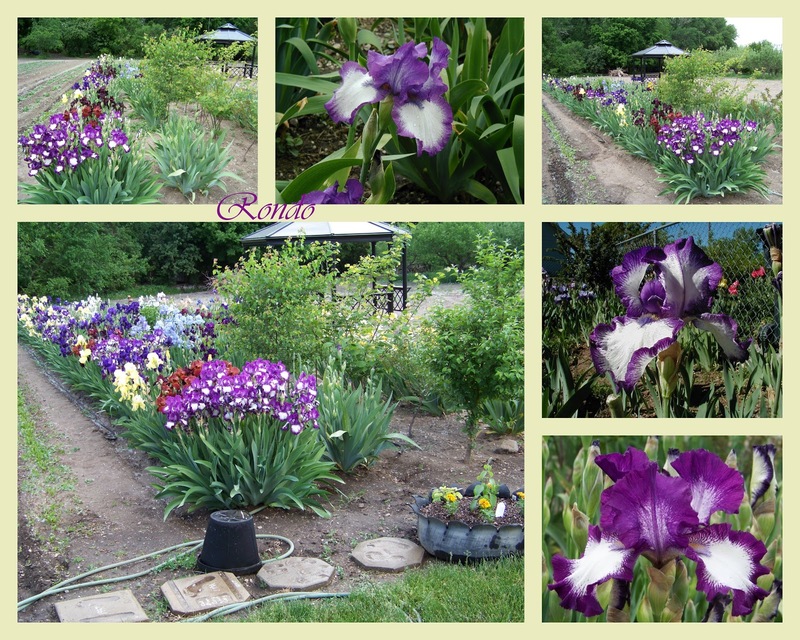 It has always performed very well for us here with lots of buds and blooms. This was a bonus from Schreiner's one year. It has bloomed reliably every year since I received it. My mother-in-law loved the color orchid and she would have loved this iris. 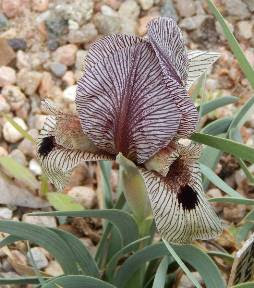 This bitone iris is stunning. The form is good as well as the health of the plant. There has been quite a buzz about this cultivar and I am another to sing its praises. There is the benefit of purple based foliage which most people find desirable. 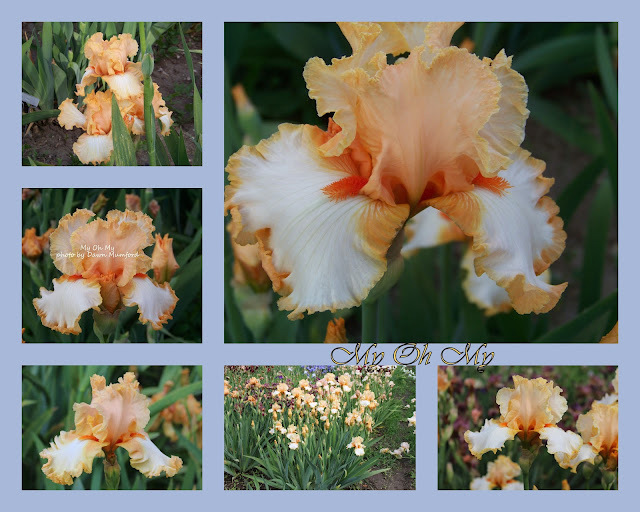 This late blooming iris is a welcome mass of apricot color. The beard is lush and a perfect compliment to the bloom. 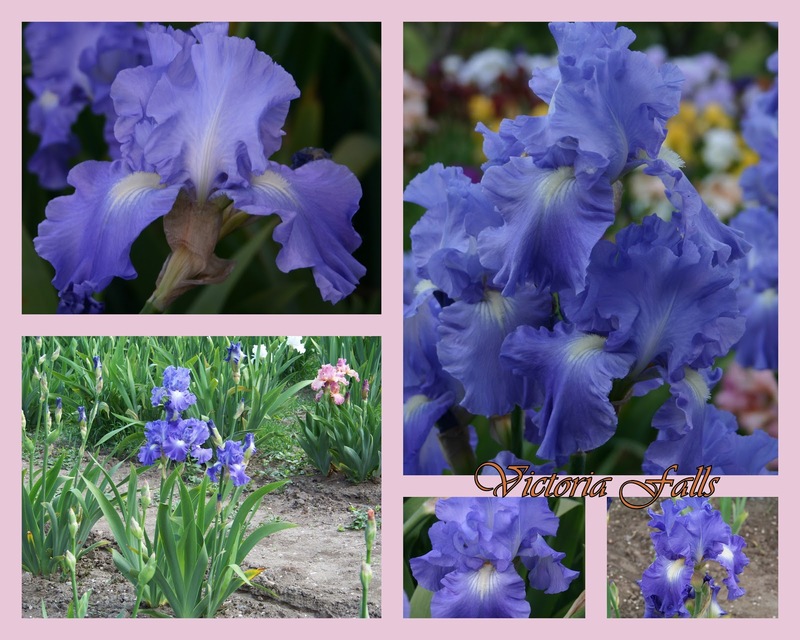 This lavender bloom is an iris that fades as it ages but on its way, it fades so gracefully. (I wish I could say the same!) It fades to a color that makes it look almost antique. The mass of blooms in the collage above has both old and new blooms in it and still makes a lovely statement. It is a late bloomer that I recommend if you have similar climate to ours. This red-violet stitched plicata is a child of 'Stepping Out'. 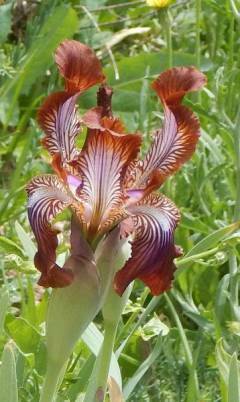 It makes a huge clump and the blooms have great substance. The stems are 40" tall. I received this iris by mistake. I ordered almost exclusively from Schreiner's and Cooley's from 1985 until about 2005. I ordered a Dykes Medal winner from Schreiner's but got 'Salzburg Echo' instead. When I contacted Schreiner's they told me to keep this one and sent me the iris that I had originally ordered. I love that kind of service. 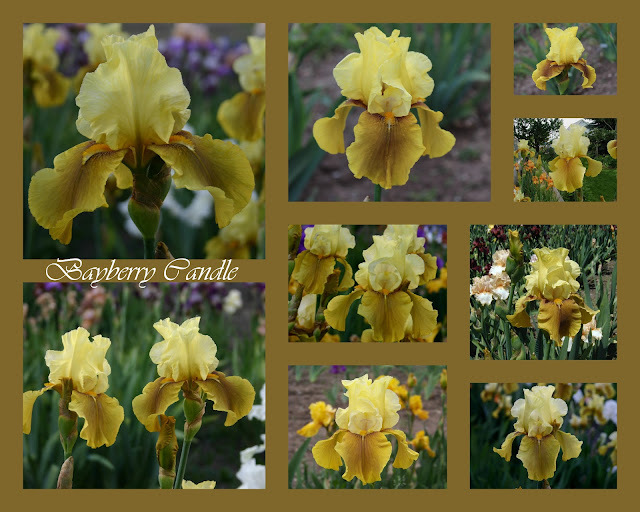 The best thing about this iris is the heavy substance and beautiful form. I have been accused of having a mini Schreiner's garden and I understand why. Schreiner's has been a wonderful company to order from. I just didn't know about all the other wonderful vendors that are out there. The last ten years I have been ordering from a larger number of vendors. In my next post I will show you some lovely new blooms from many vendors. 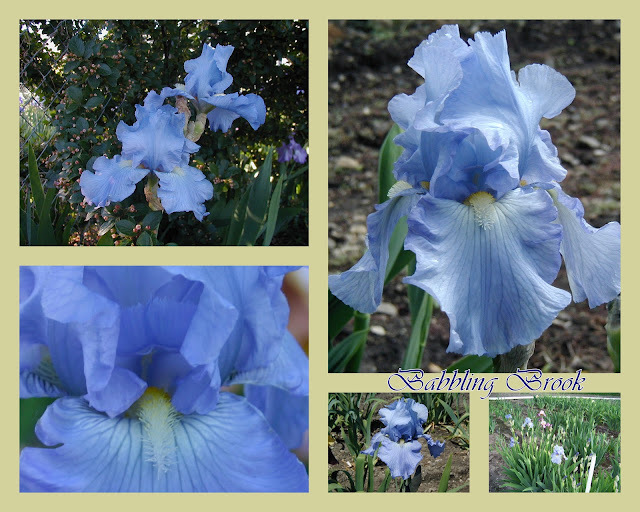 This beautiful blue iris is one the first to bloom and keeps blooming almost until the very end. The white spot is distinctive and helps you spot this beauty quickly. 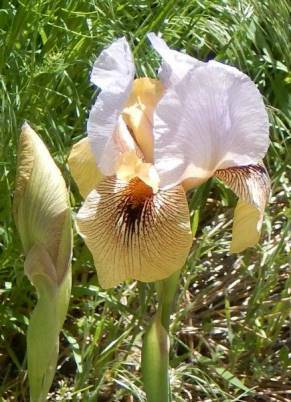 When I put this in the landscape I will put it next to two other irises that have sturdier stems that 'Victoria's' 40 inch stems can lean on. We have many more that are Super Achievers but the past 3 blogs give you plenty of samples of what does well here. 'Champagne Elegance', 'Song of Norway', 'Designer Gown' and 'Skating Party' are also super achievers, but I haven't yet found time to make collages for them. We have been growing irises for pleasure since the mid 1980's. For that reason there may be some older ones that are harder to find. 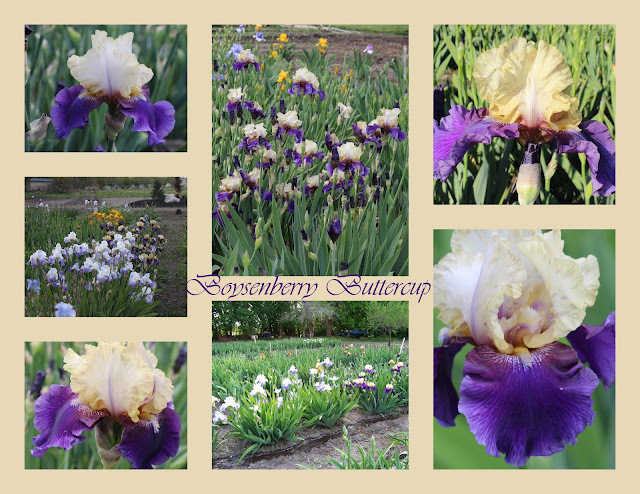 You may need to contact the Historic Iris Preservation Society for suggested vendors who may carry the older varieties. For the link press here . (My husband and I don't sell any irises). All but 'Femme Fatal' and 'Prancing Pony' were maiden blooms. Did you get any especially nice new irises this year? I would like to hear about them.